On the sidelines of his participation to the 73rd session of the UN General Assembly, the Minister of Foreign Affairs, H.E.Mr. 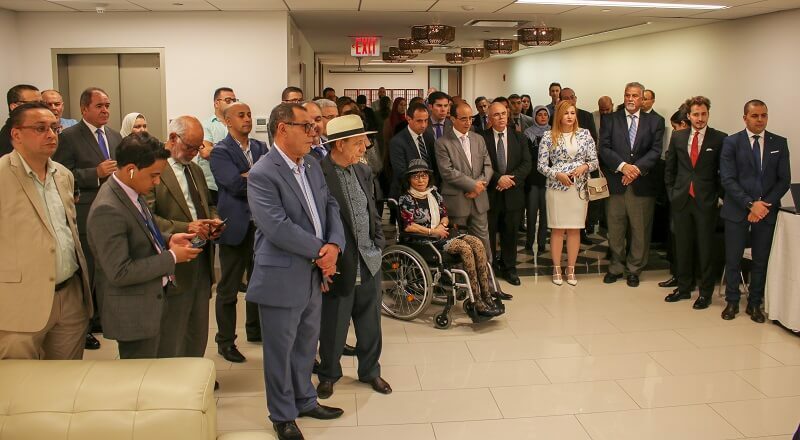 Abdelkader Messahel, met, on September 29, 2018, at the headquarters of the Consulate General in New York, with members of our community based in the United States. 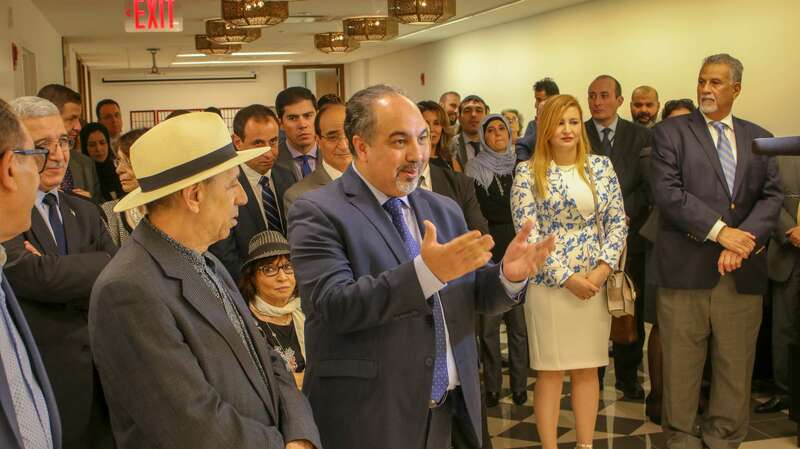 This meeting was an auspicious occasion for the head of the Algerian diplomacy to inform our fellow citizens about the political, economic and social situation of our country. 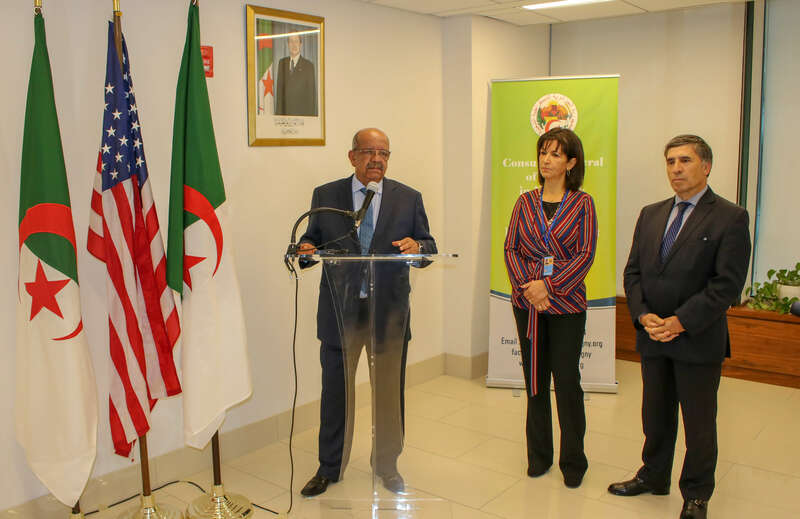 He highlighted the great achievements fulfilled in Algeria under the High Patronage of the President of the Republic, H.E.Mr. 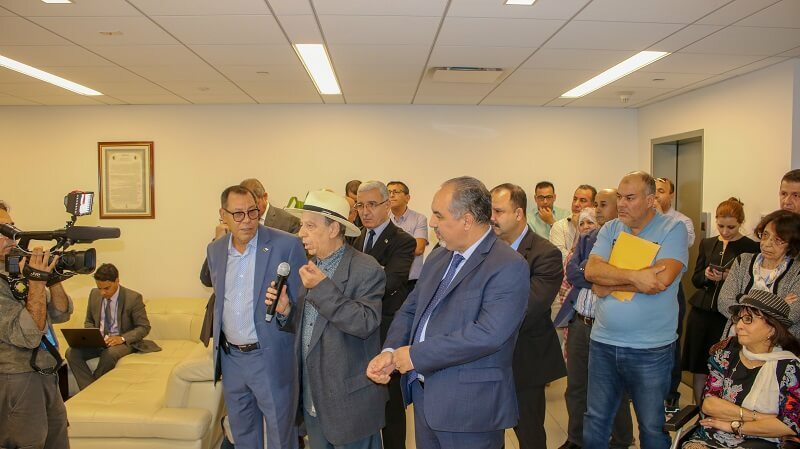 Abdelaziz Bouteflika, as well as the set of measures that have been undertaken for the national community established abroad, including, the access in Algeria to Public Promotional Housing (LPP) and the setting up of new businesses by young Algerians. 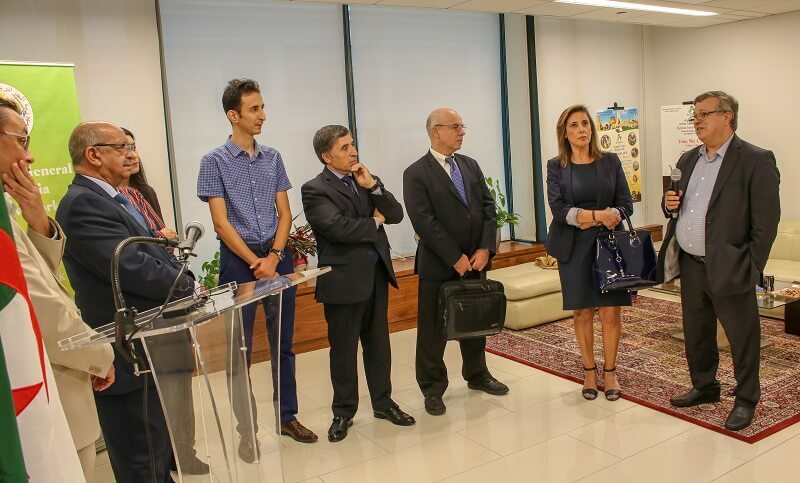 Members of our community availed themselves of this opportunity to pay appreciation to the efforts being made in their favor by the Algerian authorities. 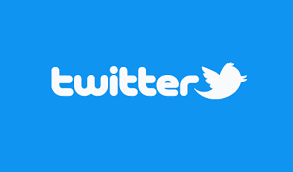 They expressed how these endeavors further reinforce their sentiment as an integral and essential part of the Nation, which is actively engaged in the national development process. The lively exchange of views with the Minister took place in a warm and convivial atmosphere. 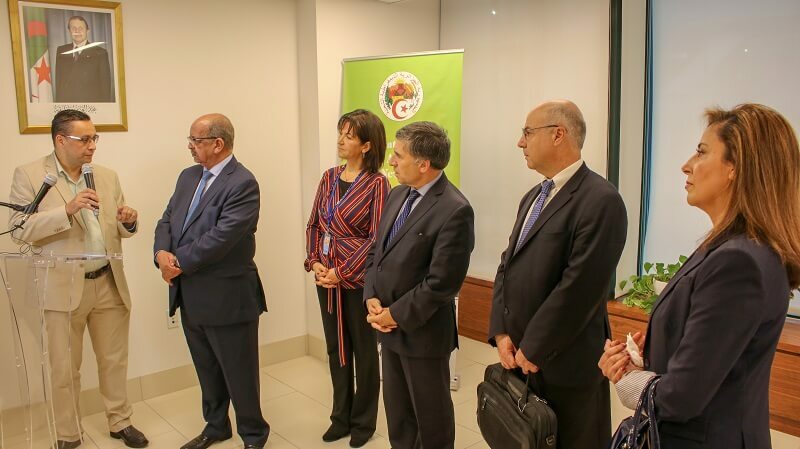 It revolved around consular management matters, whilst shedding light on measures, procedures and actions to be taken to allow for stronger ties with the country of origin that would, thereby, enhance the contribution of our national community overseas towards Algeria’s development.